An aerial view of the damage caused by Tropical Cyclone Idai that hit Beira, Mozambique. 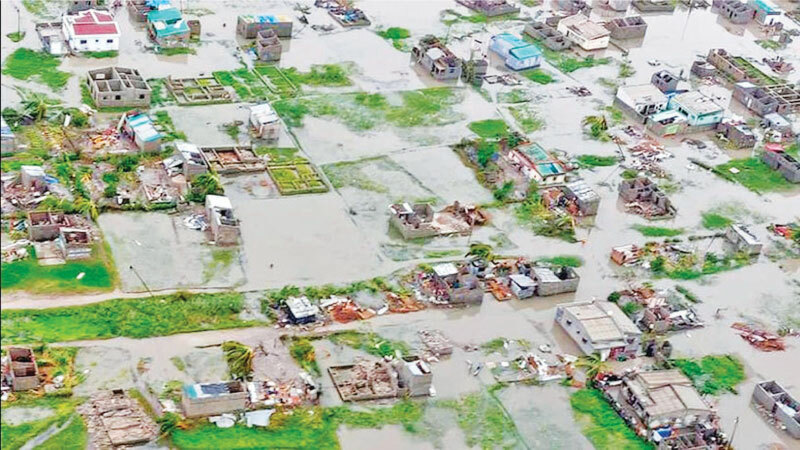 MOZAMBIQUE: More than a thousand people are feared to have died in a cyclone that smashed into Mozambique last week, while scores were killed and more than 200 are missing in neighbouring Zimbabwe. Survivors have taken refuge in trees while awaiting help, the president added. Ninety percent of the city of some 530,000 people and its surrounding area has been “damaged or destroyed,” it said in a statement.